Today, I want to celebrate a very special woman, a woman who is very close to my heart. If anyone asks me on campus, “Have you seen your beloved?” or “I saw your sister driving this way. Has she arrived?”, then know they are speaking of Grace Uka, my BFFL. I’m not doing this because it’s her birthday or anything like that. As I showed in the short story “An Anniversary Gift (Parts I and II),” you don’t need to wait for a special day to celebrate someone you love. I met Grace in the early 1990s as my student. She had a fleeting fascination with Mass Communication and enrolled in our diploma programme but after doing most of the work, she abandoned the programme to concentrate on her Bachelor’s degree programme in History. 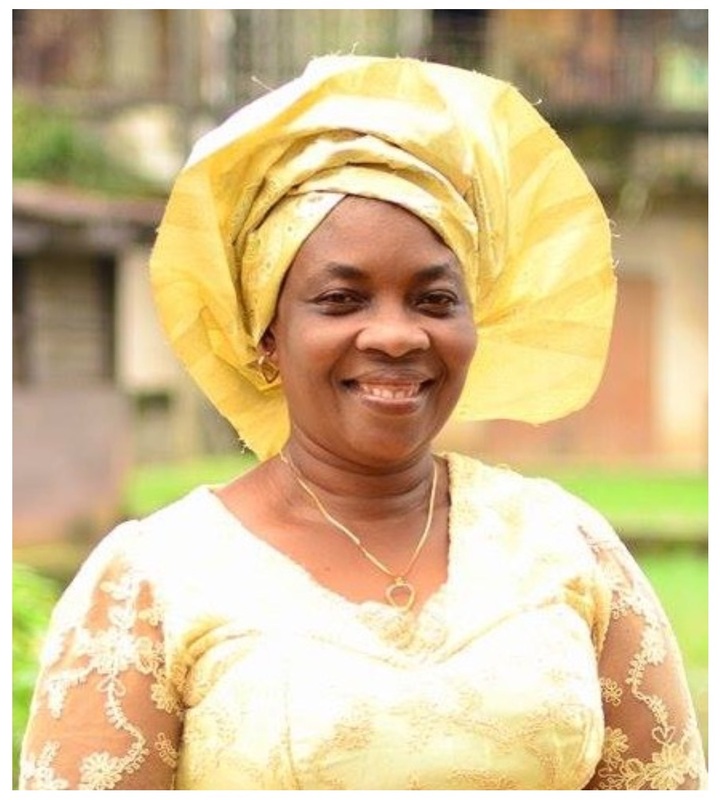 She has since added a Masters degree to her CV and is a senior administrative staff at the University of Nigeria. What attracted me to Grace was her warmth and strong faith in God. Over the years, I’ve learnt so much from her and some of that knowledge I’ve reflected in some of my writing. Grace lived in Aba before moving with her family to Nsukka. While there, she was groomed at the Living Word Ministries. Whenever we prayed together, I was fascinated by her approach of backing up her prayers with the scriptures. My meditation on this gave rise to the piece, “Bible Study Aids Prayer.” She’s the sister I referred to in “A Brand Snatched from the Fire” who helped me see the special meaning in a verse from the Book of Zechariah. Grace’s life is filled with astounding testimonies. I’ll take the liberty to share just one. From trusting God and declaring His promises, Grace is today the mother of a medical doctor, two engineers, a pharmacist and a food technologist. When you hear about a praying (and fasting) woman, about someone holding unto God when there is no material evidence of a headway, of faithfulness in the midst of leanness, you are hearing about my beloved. Her faith has not only served her and her family, it has upheld me in my own trying times. On many occasions when I’ve been sick, she has cared for and prayed me out. Once I was under a spiritual siege, it was like I was losing my mind. Grace took me to her house and she began to feed me with the word of God like a baby. Ironically, I was the teacher of the teachers in our Sunday School then. Being one of the teachers, she began to remind me of the things I had taught them over the years and gradually, God used her to pull me out of the pit I was in. I cannot and have no intention of sharing all that she has done for me. But I believe the Lord would have me share this much to encourage some people out there: Your labour of love will not be forgotten. Your travails over your children and others close to you will surely bear fruit. Grace’s testimonies did not come overnight. They took years and years of holding unto God and serving Him. But like everyone of us, she still has challenges, mountains to cross, so much that she is believing God for. My joy is that she is growing in faith and in her knowledge of God. She is also very appreciative of what God has done so far. Every time we meet, I learn something new, I am encouraged and built up in ways I didn’t anticipate. So I’m going to leave you with some things I learnt from her. She has said them so often around me that it’s now like they are inscribed on stone. These things are based on scripture but I’ll have you fish them out if you wish to. <> God will not leave Himself without a witness. Check your life if you are a believer. No matter what you are passing through, there must be something God has done or is doing to assure you that He is with you and that He will come through for you. <> God hates robbery and iniquity. The programme of the devil against your life is to steal what God has lined up for you and he is relentless about it. But Jehovah abhors that and as you align yourself with Him, He will fight the robbers of your destiny. <> God is a God of equity and fairness. He does not forget any of His own. So, beautiful people, I hope that in introducing you to my BFFL, I have in some measure restored hope to you that your redeemer, her redeemer and my redeemer lives and He reigns in your circumstances if you have received Him into your life. May His name be praised forever from one end of the earth to the other in Jesus’ name. Yes, we have, thank you, Chidi! What a beautiful tribute to your friend! She sounds like a truly remarkable woman. Not too many people would be written about and honored this way. God bless you both. And bless you and yours too, Gloria! It can only be true friendship. Nice to see that. Yeah, I'm sure you have a few like that. Take time to appreciate them 'cause such people are hard to find. Wow! What an amazing sister and God! Amazing is the word, Carol! Sending much love and blessings to you and yours in Jesus' name. ..."I hope that in introducing you to my BFFL, I have in some measure restored hope to you that your redeemer, her redeemer and my redeemer lives and He reigns in your circumstances if you have received Him into your life." Words cannot tell how much embers of hope you have just fanned into flames in my life with this piece. May God bless you dear! And bless you too, Chukwuemeka! I'm glad you do. Bless you! True friendship is a great and beautiful thing. It's always good having someone who is there for you when you need someone to lean on. Our people say in Igbo ezi oyi ka ajo nwanne-nma, truly not everyone can be credited with such good attributes. ma your friend has everything one would wish in a friend. God bless both of you. Amen and may He bless you too in Jesus' name. Amen and receive it too, Elizabeth! I pray that the Lord will give me strength as he gave to Mrs Grace Uka to live a life worthy of emulation notwithstanding the circumstances. Thank you, Ifechukwude! You are blessed! What language are you speaking here, Gift? Lol! Amen, Once again ma you have spoken hope to me. I am presently going through a lot and going through your articles I am encouraged to keep trusting God. The artlicle was well articulated and interesting.Tnk U Ma and may you keep being a source of blessing in Jesus Name.Amen!! Amen. God bless you, my dear! I loved this! I also have a Bffl and that's my sister. The beauty is we're friends by choice. She's helped me grow both physically and spiritually and for that I'm ever grateful. Wow! Nice one. It feels so good to have a friend who impacts good things in our lives. Ma, may your friendship with Grace never die in Jesus name Amen!. Amen. Thank you very much, Juliet, and may God help you to find such a friend in Jesus' name. Friends are good to have especially if you find the right one. More grace to her. Well done ma. The journey of life seems easy when surrounded with good friends. Friendship is truly the best gift to mankind. I'm happy for you and your friend ma. Some friends are really worth keeping for life. Mrs Grace is one of such friends. Be friends with people you know will positively influence and impact your life. This piece is motivating and it teaches that hard work pays as in the life of Grace who worked tirelessly and her hard work yielded her a good result. We should not forget to back our hard work up with prayers so that at the end victory will be ours. ma, this is a great write up about your friend, mummy grace. she is truely a friend worthy of emulation. i think i could also want to be like her except am a guy. buh kudos to her, am inspired. Nice, Ma. This your friend is indeed a gift from God, sent to u, because she has impacted so many things in your life. It is good to trust and grow in the Lord as this brings us closer to him. Good friends are hard to come by and when they are found, they should be treasured. Some friends are really worth having especially when meet the right ones like the likes of Grace whom you can learn things from and also share the word of God with.. Your BFFL is really a nice woman, ma. awww wonderful friend you got there ma. I think we need a BFFL in our life. Someone we can always count on. Though i'm also proud to say i have one; My mum. What a friend worth having...healthy friendship plays a vital role in one's life. That's right. Thank you, Kelechi! this article makes me feel like i have known your bestie for long time ma. this friendship is a divine one, God bless you both ma. Thank God i read this piece. i have almost left the surface to getting deep. I found myself meditating the word hear and thinking about our redeemer. I asked myself where i can find such a friend and when will be such a friend to someone who need it. She is indeed a best friend that is rare. GOD must continue to reward her for her responsibilities, character and trust in Him. Her good work in the lives of others will always be rewarded by the maker. We only have to tap from her and learn to appreciate God in all times while trusting Him in good and bad times knowing He will not leave us without a witness nor forsake us. For HE will fight for us and heal our wounds always. Waoohh your relationship with her has really lasted, God keep blessing and showering her with favour. May he also bless and keep your relationship with her. Grace shall always follow her like her name. We must all learn to make friends that will impact positively in us and we impacting positively in them and not keeping friends for benefit. I love this piece because it is good to praise people and commend them when they have done something good. A friend that sticketh closer than a "sister" in your own case. True friendship is valuable. Some friends are really God sent, source of inspiration. I thank God he brought her your way. Mmmm,my Lecturer is such an amazing writer. A good friend is inspirational,educative,loving and understanding. Mrs Grace is a good example.I pray that I always encounter this kind of friend. Well done ma. You can say this is a pact made in heaven...I love the way you two look out for each other,not too many people do that in the world of today and I hope one day,I would be able to impact positivity in someone else's life just like you. Wow! This is a captivating story. Mrs Grace is indeed a virtuous woman. No wonder the Bible says in Prov. 14:1 "Every wise woman buildeth her house: but the foolish plucketh it down with her hands". 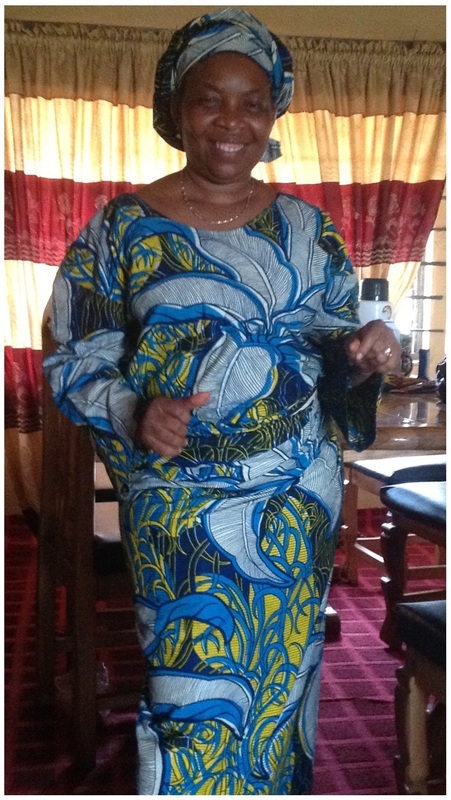 Her like pattern is worthy of emulation by all women in our various homes. Thanks ma, for the wonderful job you are doing. Indeed..she is a virtuous woman. Due to her steadfastness in prayers, she has achieved so much in life. God rewards people according to their works on earth. Grace is a motivational woman. It's something good to have someone that reminds you of God's promises that is forging ahead. To hold onto your faith in the time of troubles and crisis isn't an easy task to perform. Seeing someone that made my model (Aunty Edith) an extraordinary woman whom I always longed to emulate from is something astonish to me. Awwn! This is so nice. It's good to appreciate the people that add meaning to our lives. It shows how much they mean to us. Little gestures like this bring joy and strengthen relationships. For you to have written all this about her, it means that she truly means a lot to you. A good friendship is one where the parties involved sacrifice for each other,what a good friendship!